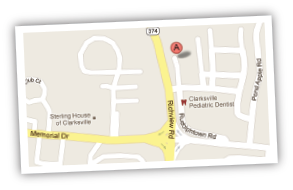 At Richview Family Dentistry, we believe that providing the best dental care starts with answering your questions. Below are answers to some of the most common inquiries we receive. If you have a question that is not answered here, or you would like more information, please contact us. How do I schedule an appointment with Richview Family Dentistry? The first step in scheduling an appointment is to call us at (931) 647-2243. Our friendly front desk staff will get you started and answer any questions you may have. What should I expect when I visit your office? Our goal is to make every visit to our office a positive experience for you. Good dental health can improve your overall health and boost your confidence. 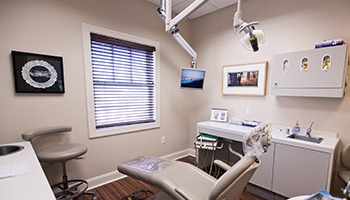 When you visit, we will examine your teeth and gums to evaluate your oral health. We will work with you to correct any problems and administer treatments that may be necessary. We also will show you how to care for your teeth in order to keep them healthy and strong. How much do your dental services cost? Please call us at (931) 647-2243 to speak with our front desk staff about specific prices for dental procedures and related financial questions. Where can I find reliable dental information online? A wealth of resources is available to the public on the American Dental Association’s MouthHealthy.org website. The ADA’s online glossary of dental terms is a helpful tool for understanding dental terminology.